Tired of those needless visits to Dreamstime to see if anything is new? This extension fixes that. 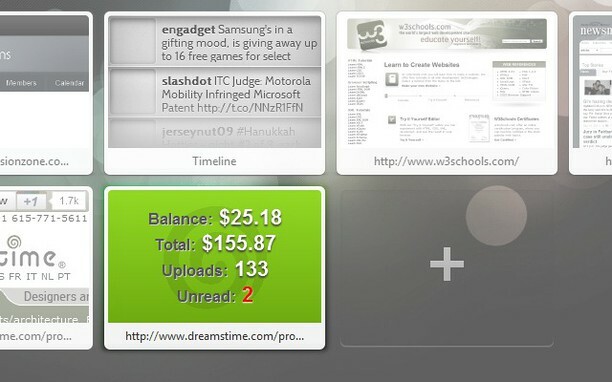 Now you can see your Dreamstime account statistics right in your Speed Dial! Additionally, when the extension detects a change in your account's statistics, you will be notified as you are browsing. Now you can keep up with your account's activity without lifting a finger. 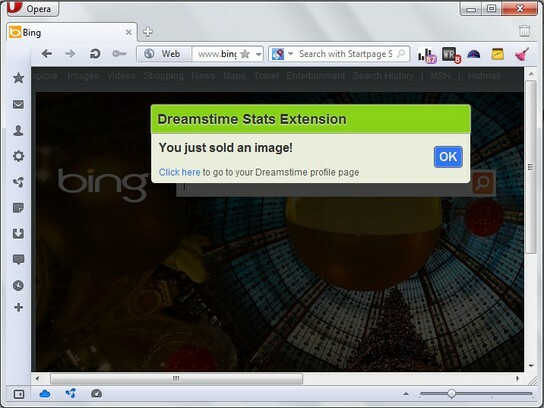 Setup: All you need to do to setup this extension is make sure you are logged in to Dreamstime. It works best when you login with the "Remember me on this computer" option enabled. 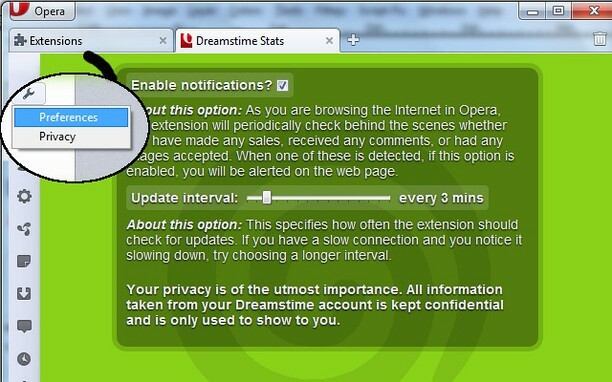 If you don't choose this option, then you will probably need to login to Dreamstime each time you start Opera Browser. Please report any bugs you encounter so I can repair them.